WARNING: We do not recommend Neuracel due to excessive complaints and lack of effectiveness. The company has shut down and the product is no longer available. 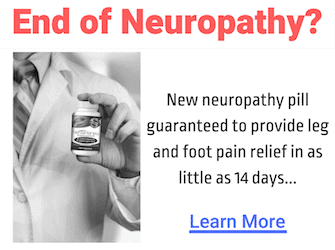 Neuracel is a once-a-day supplement that uses a blend of synergistic ingredients to alleviate nerve pain and other issues associated with neuropathy. It is a nutritional supplement rather than a homeopathic remedy with ingredients that are almost identical to those of Nerve Pain Away but with fewer ingredients, so it should be easier on the digestive system. The product is sold by Neuracel Supplement Inc. and it is their only product as the company has since gone out of business. They're very much an “internet business” as you can't buy the supplement in stores – only through their website (which is frequently down) and third-party sellers like Amazon. Their website is somewhat sparse which is suspect since they have almost nothing on there but third-party testimonials and an ordering form. The company is registered with the BBB, however, as with many supplement companies their rating isn't great (they have a C) since there are people the supplement didn't work for and others who have struggled to get their money back under the guarantee. There are no pending cases however. SuccessEtc is the parent company and they produce a lot of “as seen on TV” products, something that is evidenced by the fact that their page starts with a paid doctor's endorsement. The supplement has not been endorsed by any professional organizations or companies and though they are located in Boise, Idaho there is very little information on how to contact them so it's probably best that you're cautious before buying. Neuracel works by treating inflammation but it also contains a mild sedative derived from the California poppy which can help “numb” pain. Scientists think that some types of nerve pain are due to inflammation around the nerves which triggers them to send a false response for “pain” even when the area has not been damaged. This may also happen if the area is damaged or the nerve is pressured because of muscular issues. 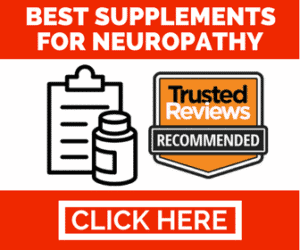 The first course of action is usually nutritional, so a neuropathy supplement like Neuracel is easy to take at home without a prescription and is often cheaper than most nerve medications. According to the manufacturer the product also has a mild “detoxification” effect, which is generally advertising code to cover up digestive issues that may happen when first taking it. Since it is ingested, the product takes time to build up before having any effect. It is made from plant extracts. Like Nerve Pain Away, the main ingredients in Neuracel are Passionflower, lobelia, and California poppy. This supplement also contains prickly ash which was previously in other supplements but has since been removed. The other main ingredient is corydalis yanusuo, a Chinese medicinal herb that is used to treat nerve issues though there is little scientific evidence that shows it to be effective. The ingredients are suitable for vegans as the capsules are plant based and gelatin free. They should be taken daily. There is no other information on the bottles or online about other ingredients so while this may be the complete list, there may be other fillers in there. Very rarely do you ever see a product that claims to have absolutely no side effects, mostly because even if they did claim there were, there would likely be several people who had side effects due to allergy. While the actual amount of any of the ingredients is a secret, it's hard to tell what a potential overdose would be and what amount the capsules contain to induce side effects. California poppy has a sedative effect because it is related to the opioid poppy. It also contains alkaloids which have analgesic and anti-spasmodic properties. 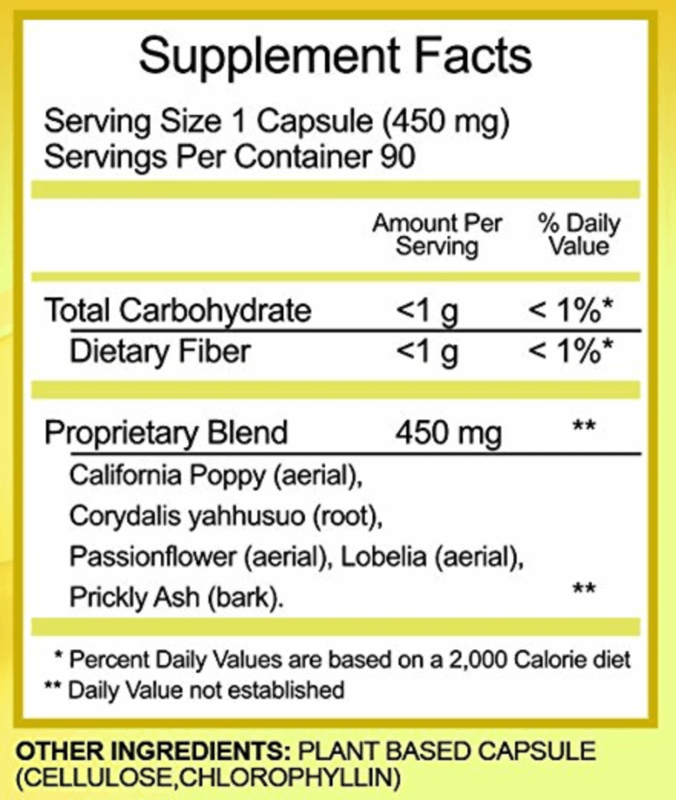 This variety of poppy does not actually contain any opium and has no known addictive qualities or side effects; however, caution should be taken with vehicles and driving when using supplements that contain this to make sure you don't get drowsy behind the wheel or operating heavy machinery. Passionflower has some mild side effects with few people reporting issues; those who do have drowsiness, nausea, dizziness, and issues with coordination. These can all affect driving so like California poppy, caution should be taken at first when driving or operating machinery. Lobelia is actually very toxic but in theory such a small dose could be called therapeutic. Like many toxic herbs, the side effects include nausea, vomiting, tremors, dizziness, diarrhea, convulsions, sweating and palpitations. In the most extreme cases of overdose, lobelia may cause coma and death. Since there are no amounts listed on the bottle you should probably be cautious taking more than the recommended dose. All ingredients in Neuracel have warnings not to be used by pregnant or nursing women because of their mild toxicity. Any people who did report digestive side effects but continued to take the product, admitted they did go away once their body got used to the supplement. Yes, they're saying that they don't even know if the product works but still giving it 5 stars to bump the rating. There are also plenty of non-verified reviews on sites like Amazon, all around the time when the product came out, which looks like the company was again paying reviewers to boost the numbers. One would have to assume that most if not all of the positive reviews are simply fake or paid. While the company originally offered a money-back guarantee, they have since gone out of business. Now that you can only purchase the supplement through third-party sites like Amazon, you have to abide by their terms. Amazon's policy is 30 days for the product and while it can be returned opened and “defective” if it doesn't work. The company says that you should use Neuracel for several months to see effects – a clever ploy that means you'll have to buy several non-returnable bottles first. As far as their ratings, the money-back guarantee seems to have caused the most problems where the company were not good at honoring it, despite offering one. Overall, the reviews and customer response to Neuracel don't seem positive or real. A company that is determined to create fake positive hype about a product and has since gone out of business doesn't have a truly effective product. While it's possible that some of those positive reviews are real, the majority of customer reviews that are verified and seem authentic equate it to snake oil and a rip-off. Almost all major supplement review sites agree and there seem to be very few “pros” to taking this supplement. While you might still want to try Neuracel, you should certainly be cautious and not expect miracles. The company is no longer in business which means it's increasingly difficult to find bottles of Neuracel anywhere. Even third-party sites like Amazon and eBay don't have a consistent supply. Originally you could buy the product through the company's website and over the phone, but both are no longer in service. Google shopping has a few bottles listed on some trickle-down sites but it's likely since this product has been discontinued that those bottles are fairly old and may even be out of date, which could affect their effectiveness. Neuracel rates pretty low for most users, so it's likely you want a different supplement. Nerve Renew is one of those which consistently sees positive consumer response and has actual documented results. If you're looking for real relief from nerve pain, then it would be better to try Nerve Renew than Neuracel.